Brian first came to my attention when he approached me to participate in his new book The Pinhole Camera. Due to illness, travel and writing my own book, I was unable to be a part of the printed book, although I was interviewed for the website, but the eventual publishing and his ongoing efforts to feature pinhole artists weekly on the website, intrigued me. Always eager to get at what motivates people to chuck digital technology for the simple box, I asked Brian about his motivations for his work and what moved him to write a book, which can take over your life for a year or two. Without Lenses: How long have you been doing pinhole work? BK:I came from a traditional photographic education that focused on large format or medium format cameras and zone system printing—always trying to achieve the best negative or the most perfect print. I had tinkered with lensless photography briefly, but without any real direction or satisfactory results. 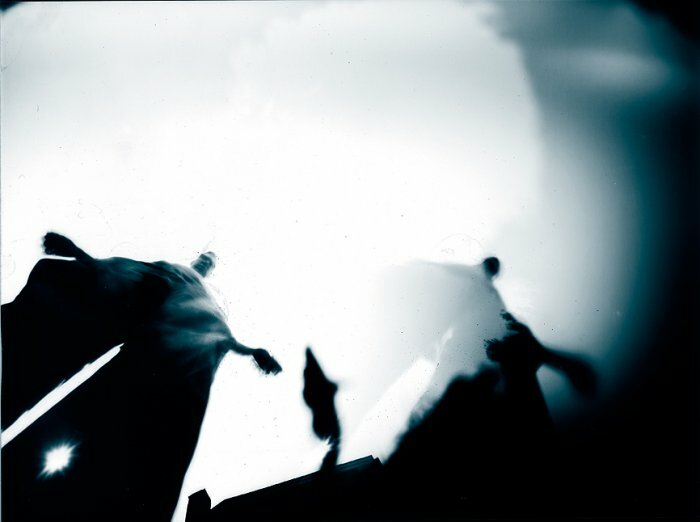 Since 2007 I have been pushing myself to try new techniques in the low fidelity style with a concentration on pinhole, toy camera, photogram image-making which are all the complete antithesis of my formal education. 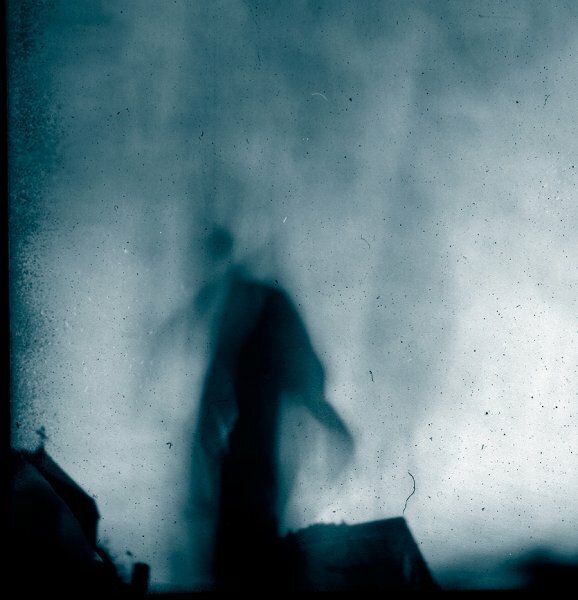 I’ve been experimenting with pinhole photography, on a serious level, for the last three years. Do you build or buy – is pinhole as much about building the camera as making the image? BK: For me, the camera creation is just as important as the process of capturing an image. Most of my cameras have been homemade creations and I have tried nearly everything from a traditional tin can, a matchbox, a discarded coffee pot, and even a deer skull. I enjoy the challenge of designing and implementing a homemade camera and typically the results from my creations are more satisfying than images captured with a commercially available camera. With that said, I also enjoy exploring commercial products. I have collected the Diana+, Zero Image 45, Pinhole Blender, and 8Banners Ma cameras along with a few roll film cameras from independent camera makers. What’s your favorite camera that you can’t leave home without? BK: I really enjoy the 8Banners Ma pinhole camera which is a 120 roll film camera. It produces 12 square images in the 6×6 cm format. The rugged metal body holds up well to travel and the precision pinhole produces some fantastic images. The roll film camera is also more discrete for photographing in public spaces. If I am not concerned with the size of the camera, my personal preference leans toward using cameras produced from tin cans, utilizing big paper negatives. When did you decide to do a Pinhole book? BK: As I experimented with low-fidelity image-making, I found a lack of focused resources on the subject matter. Flickr was a wonderful, creative playground where I could find more information on other artists who were exploring the same new techniques; although there was no centralized place to learn pinhole techniques. In addition to pinhole, I was exploring alternative printing methods. 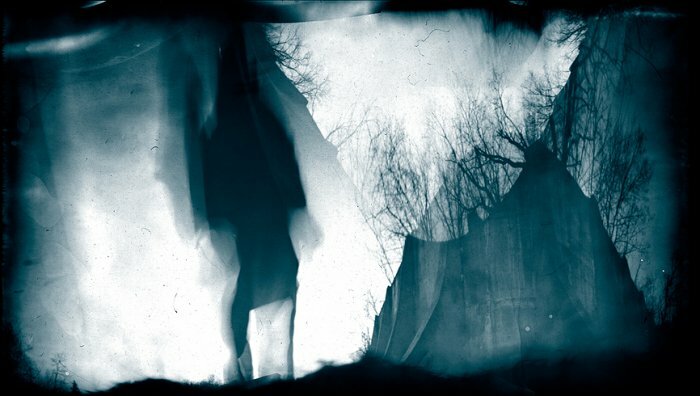 Many people expressed interest in my pinhole images which were a combination of traditional photographic techniques and emerging printing techniques. I hosted a few photographic workshops in my hometown and taught fledgling artists the tips and tricks of pinholing. I guess it was around then when I realized that I could put together a print version of everything that I had learned, combined with my traditional photographic education. How was that process—writing, interviewing etc? BK: When I began the idea of writing my book, I started with my 14 page workshop manual. I figured that if I added a few photos, I would have a nice little book. It didn’t take long before I realized that I would have to expand on concepts and techniques to produce a book worthy of print. The basic outline for the book was constructed quickly, although the original scope of the book was much larger. I had planned for more workshop content, but I ultimately trimmed back the subject matter to be more refined and focused. The Featured Artist section was the most challenging and time consuming. It took a year to collect all of the interviews and photos from the contributor list. In addition, my final collection of artists is extremely broad and diverse which produced a huge editing challenge. I had to edit and revise each artist interview to be a cohesive body of text that all worked together from page to page. Once that major portion was completed, the process of writing the balance of content was completed within a six month period. The final editing process took about three months. 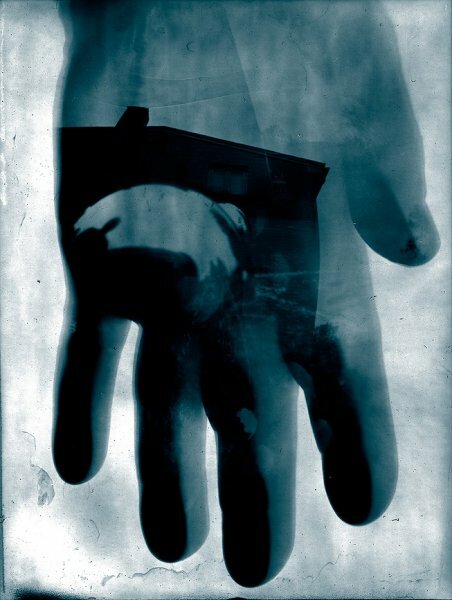 How is your book different than those already out there, like the long time bible Pinhole Photography by Eric Renner? BK: Mr. Renner’s book definitely contains the most comprehensive historical record of pinhole photography from both a historical and fine-art perspective. When I began researching pinhole photography, I read Pinhole Photography and I was overwhelmed with the amount of information on the subject. I am a visual learner. I learn quicker by having someone show me or by watching someone. I love step-by-step text books and it was my goal to produce such a book for pinhole photography. Just as any subject matter, there are basic techniques and then there are advanced topics that are layered over basic concepts. My book follows that recipe and format. I would say that The Pinhole Camera is a visual how-to book, based on technique rather than a historical reference on pinhole image-making. The Beginner Track is geared towards artists who are just starting out, while the Advanced Track and Creative Opportunities focuses on advanced techniques. The end result is a comprehensive book for anyone looking to try pinhole photography, regardless of skill level or photographic education. I noticed on Amazon your book is labeled Volume 1 – is another book in the works? BK: Interesting! The short answer is no. The designation of Volume 1 is automatically added to the listing in Amazon. While I would love to produce another book, I am quite content with the amount of techniques and instructions contained in this book. If I were to produce another book, it would probably serve as a coffee table/portfolio book. Who was your most surprising find – either interviewed in the book or since then on the site – anyone unexpected? 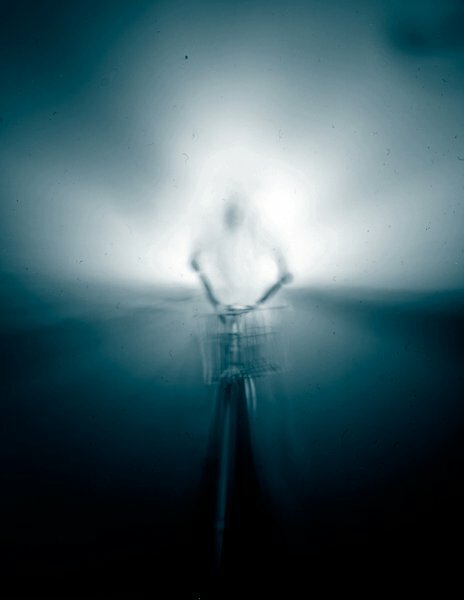 BK: Rather than a specific person, I was most impressed by the common artist who loves pinhole photography. I have all types of interviewed artists ranging from photographic professionals to hobbyists to stay at home mothers. My most unexpected interviews are the artists who wedge pinhole image-making into their busy day, simply because being creative is of personal importance. That type of daily dedication often produces the most interesting and creative images. BK: Ah, that’s an easy question. I am most inspired by the artists within my Featured Artist section. They are all extremely creative and inventive. It is quite and honor for me to have had each of those selected artists participate in my project. On my current website, www.thepinholecamera.com, I have a weekly artist interview. Many of the new interviews are from artists who I have met since the book printing and each of those people are an inspiration to my work as well. BK: My book project lasted two years. The Pinhole Camera was published in November 2009 and I took a few months off from pinhole image-making. I definitely needed a break from the subject matter. Now that I’ve had some time to recuperate, I have a lengthy list of techniques, subject matter, and printing methods that I would love to try. I certainly want to return to making my own cameras as that is something that I enjoy. As I move forward in marketing my book, I am looking for more venues to show and exhibit my work. I have a pinhole exhibition in February 2010, locally, here in Pittsburgh. During this year, I will also have my work presented in American Photo (March/April 2010), Diffusion magazine, and Plateform online magazine. I am looking forward to continuing my participation in Light Leaks as a pinhole resource (I served as a guest gallery editor in the Fall 2009 issue). Photography is a passion for me, not a profession. I earn a living as a computer professional which is fine with me. The separation of work and hobby allows me just to be creative rather than scramble for a pay check from my photography. Any time I pick up a camera or create an image, it is for fun and that is what I’d like to continue towards- simply experimenting and having fun. Check out the site for more information about The Pinhole Camera and to read the latest artist interviews. To follow the latest news visit Brian’s Facebook, Flickr or Twitter streams. Really enjoyed the interview Brian and I’m looking forward to seeing more of your beautiful images after you have spent so long concentrating on the work of others. Brian’s book is a VERY worthwhile purchase for beginners as well as old hands. He is knowledgeable and full of information. Hi Brian- I’m a fan of your images from flickr- but it’s interesting to read your thoughts on pinhole photography in a new setting. I love the ‘Beach Bike’ image above. Powerful set of pics Brian…and ‘Cornerstone of faith’….what an image! I’m off to check out more of your work online. Brian J. Krummel, a photographer by formal training, completed a BA in Arts from Pennsylvania State University in 1996, focusing on photography as a creative discipline. Brian's passion about photography has led him to continue his own photographic experimentations and explorations over the years with a variety of tools and techniques, which most recently included branching off into the interests of lo-fi, toy camera, and pinhole photography.